The reason behind is that the comments posted may be promotional or spam that negatively hurt the blog. Additionally, moderating the comments on your site is also very time-consuming. If you own a WordPress website want ant to disable comments on it, then it is the right platform for you. Here we will tell you about the simple steps following which you can do this job quite easily. Check out each of them mentioned below and implemented them carefully. You need to install the No Page Comment plugin followed by activating it. Once the plugin gets activated, you have to access the settings options and then select the No Page Comment option so that the plugin can be configured. On the other hand, the comments can also be disabled for the new pages. If you want to do so, then you have to go to the checkbox showing comments and trackbacks. Here, you need to tap on the Update Settings option. The comments on the previous pages can also be turned off by tapping on the disable All Comments and Disable All Trackbacks option that situated in the Modify All Current Section. That’s all, the process is completed, and you have successfully made your blog free from the comment. If you want to enable comments in the future, then you can do it easily. To do so, you have to tap on the screen options that situated on the right side of the screen. There will be a fly down option where the discussion box will open. A Meta box will enable or disable comments on an individual page. We suggest you follow all the steps carefully and don’t miss any of them. Although, the process is very simple, still you should perform it with complete focus so that you don’t face any problem. You Might Like – How to add a Contact form to your WordPress Website? That’s all; you can see the process to complete this process is very simple to understand. We believe that you have successfully disabled the comments on your WordPress sites. 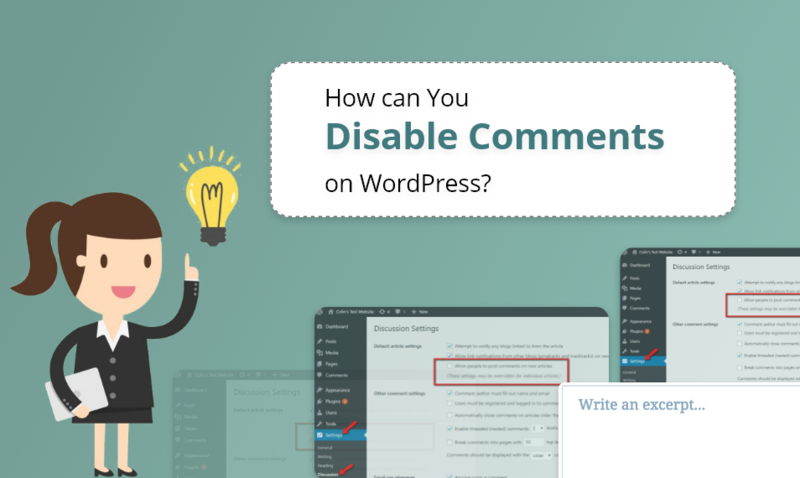 If you have a question related to How to disable Comments on WordPress Blog/ Website, please tell us in the comment section. Our team will answer all your queries as soon as possible. How to add Contact Form to your WordPress website?